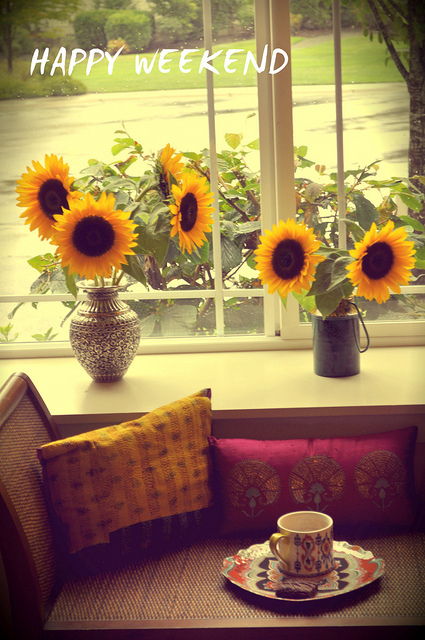 I have no sunshine in my life but I have sunflowers :) We have had incessant rain, thunder and lighting. It kept me awake half the night!! My life is in a bit of turmoil at the moment (I shall spare you the details). However, when all else fails..... flowers sure calm me down :) I picked up half a dozen of these pretty sunflowers from Pike Place yesterday! 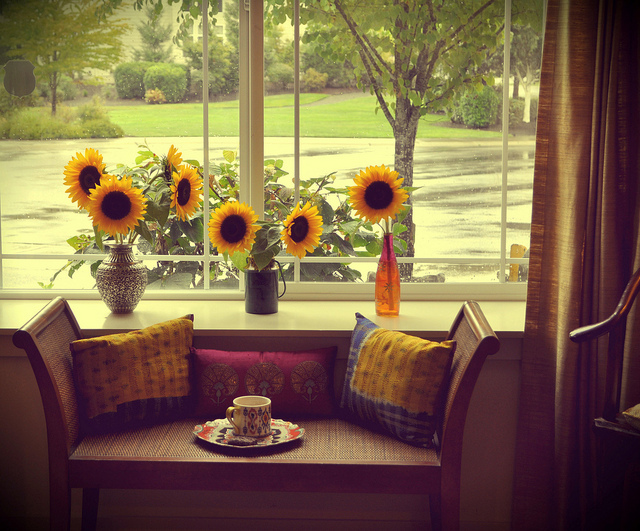 Images: My Home on a rainy morning!